Convening and connecting young people from all over the state, the Alliance creates spaces (both physical and digital) for students to inform, participate in and lead the Illinois LGBTQ+ safer schools movement. From Youth Leadership Summits, to Day of Silence/Night of Noise activities, to leading the movement for gender and racial justice through school- and community-based Genders & Sexualities Alliances (GSA) clubs—young people are working together to create spaces that are supporting and affirming and celebrating LGBTQ+ youth and their allies in Illinois schools and communities. For more information or to explore how you can join the movement, please contact our Youth Engagement Manager, Nat Duran. The Alliance hosts an annual Youth Leadership Summit in January focusing on Genders & Sexualities Alliances (GSAs) support and technical assistance, #GSADay organizing, and Day of Silence/Night of Noise preparation. The Summits are opportunities for youth leaders and GSA advisors/sponsors to come together from all over the state to organize, network, learn and develop leadership skills within the movement for safer schools for LGBTQ+ identities. "Last year, after I came I worked to start a GSA and Day of Silence at my school. This year, I came back to meet new people, get more information and hopefully help others—I'm so glad this happened again!" Registration for our summit opens at the beginning of December each year. Please sign up for our newsletter or follow the Alliance and the IL GSA Network on Facebook to make sure you don’t miss out! Each year, the Alliance supports youth organizing activities for the Day of Silence/Night of Noise (DoS/NoN) in Illinois culminating in locally organized regional NoN events throughout the state where communities can come together to break the silence, rally for the safer schools movement and celebrate their own participation in the DoS as agents of change in their own communities. Each year the Alliance provides Day of Silence kits to registered GSAs throughout the state containing IL-specific resources, locally developed DoS SWAG, and curricular materials developed by the Alliance’s Youth Committee. Registration for Day of Silence kits opens at the beginning of February each year. Please sign up for our newsletter or follow the Alliance and the IL GSA Network on Facebook to make sure you don’t miss out! 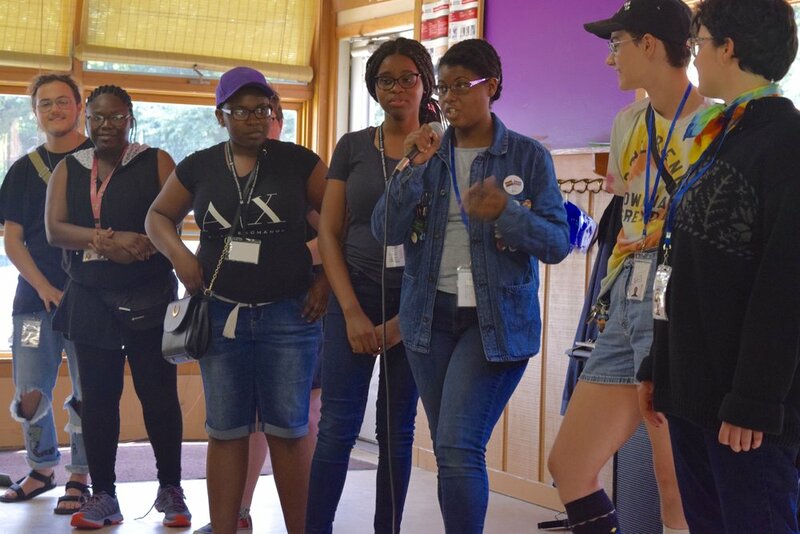 Our largest youth leadership convening of each year, Action Camp  is a 5-day sleepaway camp in August that brings together leaders from GSAs across the state to learn from one another and shape the safer schools movement. Action Camp is often described as “magical” because youth are able to see their identities reflected back at them, sharpen their critical lens, strengthen their own anti-oppressive frameworks and actively skill-share and practice what it means to create spaces in the world where all identities are safe, supported, affirmed and celebrated. Action Camp is open to GSA leaders who are rising 8th graders through rising Seniors in high school. Applications for Action Camp 2018 have closed. Please sign up for our newsletter or follow the Alliance and the IL GSA Network on Facebook to make sure you don’t miss out on next year's applications!